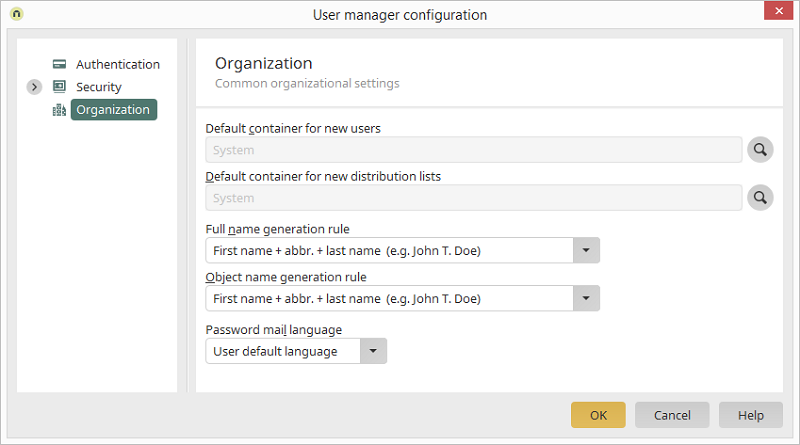 If new users or distribution lists are created in the User system application in the browser, they will automatically be added to the container selected here. In each case, opens a dialog where a container can be selected. Defines how the full name will be out together and generated from the First name, Middle name and Last name. Defines the default language used for sending notification mails for new passwords via the Edit menu / Change / Generate password.